A few years back, and living a far more financially loose lifestyle before the kids came along, I loved a flutter on the pokies. Evil little things they are, I became memorised by the bells and whistles, like a dumb kangaroo in the headlights. I lost money. For the uninitiated, you whack a button, the reels spin and you either win a few cents or whack again. If lucky enough to get a win, the option exists to double the amount. By choosing correctly between black and red the win is doubled and for those a little more daring the choice of correct suit multiplies the win by four. Make sure you have a member of the Wests Tigers board or recruitment team with you if you ever do this. The reason? When it came to making a choice from the ridiculously named ‘big four’ the Wests Tigers nailed it. Mitchell Moses’ performance on Thursday night once again showed that the Parramatta half is not the player the Eels, most pundits, or I, thought he was. 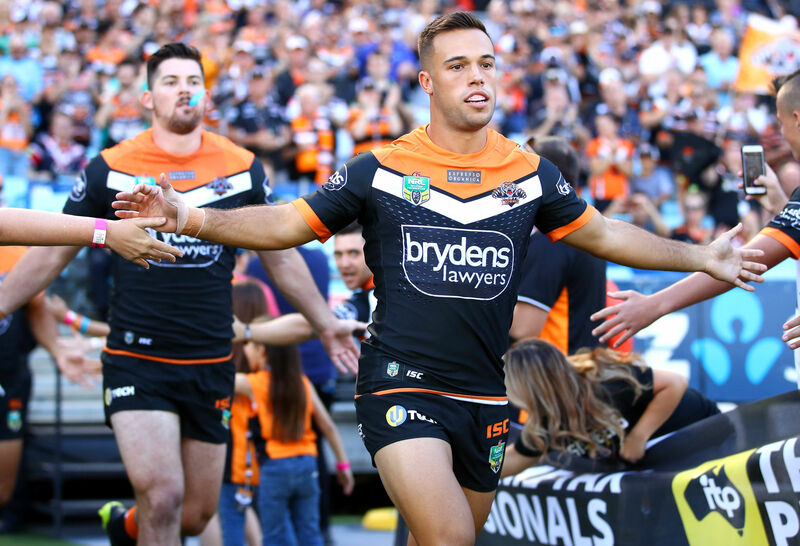 In Luke Brooks the Tigers held onto the right man, and with Aaron Woods and James Tedesco taking flak elsewhere, they might just have played the best strategic gamble of the decade. Still incapable of man-handling a game and taking control, Moses’ positive influence was negligible with his kicking game exposed again as, at best, inconsistent. Talk of Moses wearing a sky blue jersey has been premature to say the least, and the reality of Parramatta’s poor season and listless position on the ladder is reflective of the absence of true match winners and game-breakers in their squad. The Eels will now have their eyes more toward 2019 than the current season, giving them the chance to unearth some future talent and develop it with match experience over the second half of the season. The Broncos did enough and that is the best you could say about their effort, with a run of early penalties and a sin bin helping to set up their lead. All were deserved, yet after the two early tries they could manage only one more in a game where blocks of penalties swung momentum either way. The club will be happy with the ceremonial significance of the 18-10 win in Wayne Bennett’s 800th, yet they still sit just outside the top eight with a lot of improvement required if they are to be a serious challenger in spring. It hit me like a wet newspaper on Friday night. The Raiders are nowhere to be seen in 2018. I began writing this just after half-time when the scores were level at 14 and a Jarod Croker penalty restored parity. It didn’t really matter what happened after that. I’d seen enough and the lean mean green machine haven’t done anywhere near enough to impress me this season. 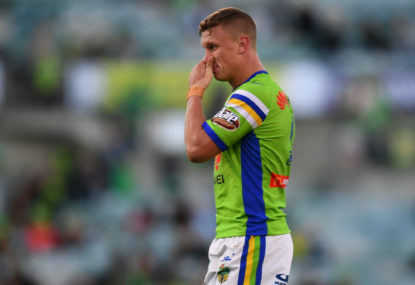 I travelled to the nation’s capital in Round 2 to visit relatives and catch the clash with the Knights, who surprisingly have had a more impressive season that the Raiders thus far. That night the Raiders let one slip. I was less than impressed yet remained aware that there was a long way to go before we came to the guts of the season. Since that time the Raiders have managed five wins. Their victim list reads as such: Bulldogs, Eels, Cowboys, Titans and Sea Eagles. I rest my case. The Sea Eagles were good – very good – at times, and despite the sin-binning of Trent Hodkinson, they managed to hold their shape throughout the second period. So tense was the atmosphere and important the points that Trent Barrett’s hair moved. I’m sure of it. 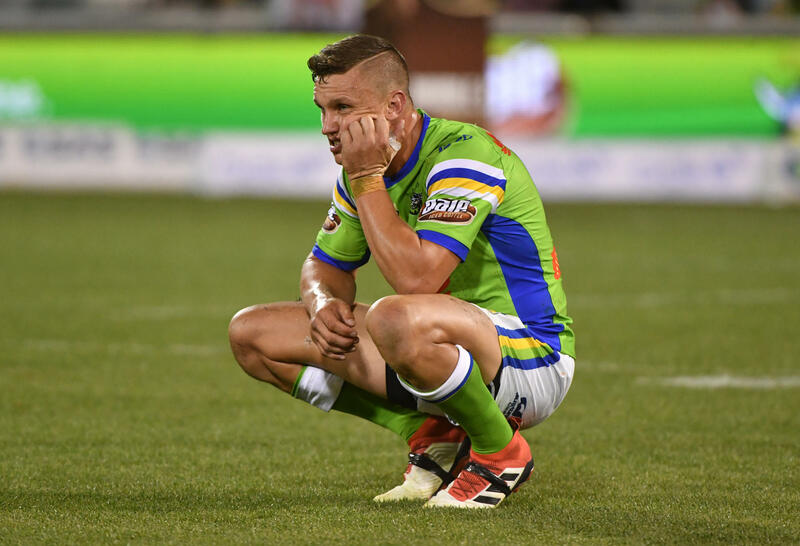 The climax saw an Aidan Sezer field goal sink the Sea Eagles ship, and despite tipping Canberra, I felt the better team may have come away empty. The two points creep the Raiders a little closer to the top eight, yet they are still so far away in reality. A win against the Eagles at this stage of the season does little to convince me they will be anything but annoying to the real contenders in the coming months. In the late Friday night game Melbourne travelled to North Queensland seeking a consolidating victory while the home side played for respect. A late field goal to Cameron Munster appeared to have sealed the deal for the Storm before the home side launched one final assault, only to be denied a match-winning Michael Morgan try by the pesky man in the box. It wasn’t a clash to write to grandma about and it leaves the Cowboys viewing the serious competitors from afar. The Storm need to find some consistency and not be hoodwinked into believing that what they produced to beat the Cowboys will be anywhere near enough to threaten the teams that are setting the standard this season.